Kwik Lok is bag closures .. Closures are available for film bags, mesh bags and some paper bags. They can be applied with automatic or semiautomatic bag closing equipment, or hand applied. 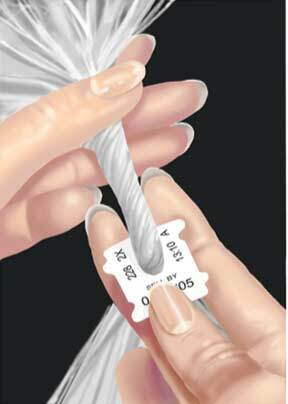 Closures are available in seven plastic colors that permit color coding pull dates. 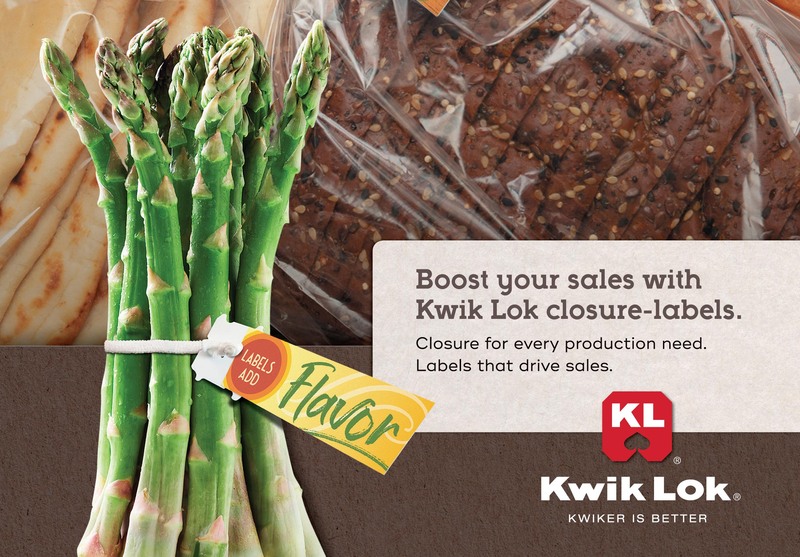 Kwik Lok protects freshness and offers an easy way to reuse the bag without spillage. A package that is easy to reclose – is more likely to be reclosed. A closed bag protects that fresh baked smell, texture and taste and therefore will enhance your product’s image. Also a reclosable package gives the consumer a way to keep product from spilling when stored between uses. Lower Initial Cost. Kwik Lok bag closing systems generally require less capital to buy and own and this reduces your investments cost and adds to your bottom line. Lower Maintenance and Operating Cost. Once the Kwik Lok system is up and running in your plant you’ll realize additional savings. Fewer Crippled Packages. Kwik Lok’s simple and unique design means a higher percentage of packages are properly closed when they exit your packaging line. The all-plastic Kwik Lok closure permits the use of metal detection devices on your packaging line – not the case with wire ties. 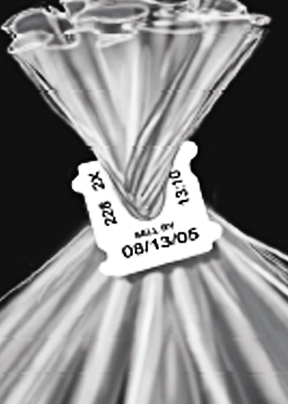 Kwik Lok offers printing systems that can print price, dates, and codes on the closure as the bag is being closed. The closure’s flat plastic surface is ideal for printing upon and we offer a wide range of printers that will meet your package printing requirements. 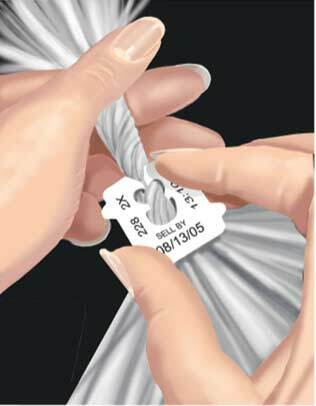 Kwik Lok gives you the means and ability to use labels attached to our closures. Labels can significantly add to the sales of your products and reduce your overall packaging costs. See our Label Marketing Section. Kwik Lok Closures are recyclable and have earned the recycling symbol of 6.